Home » Sergio Ramos leads Real Madrid in 600th appearance! Real Madrid once again regains their energy and vigor leading their way to beat Europe as they head into Wednesday’s game with Ajax having climbed to second in La Liga, five points off top spot. 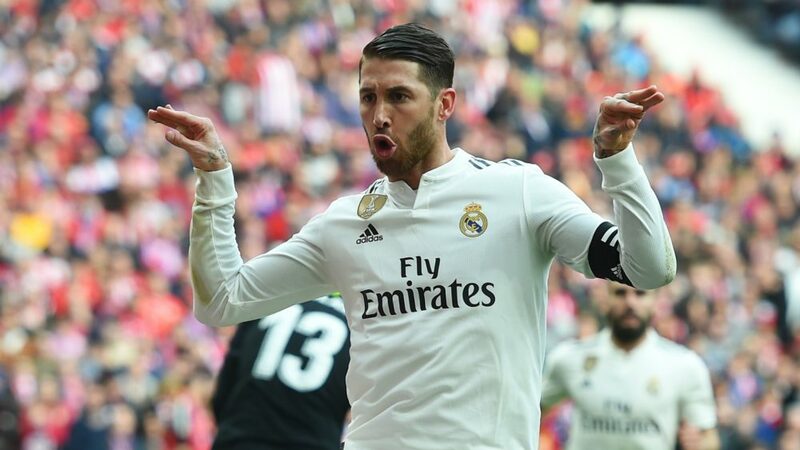 The leadership of the captain and center back Sergio Ramos’s role in this rejuvenation of the team is inevitable which helped Real Madrid to get back on its feet. He joined Madrid in 2005 for 27 million euros and the fee still remains as the record for any Spanish teenager to this day. He has proven time and again that he was worth that investment. The upcoming game against Ajax will be Sergio Ramos’s 600th appearance and he will be just one game behind club legends Fernando Hierro and Paco Gento in the all-time appearance list and 4th behind Manalo Sanchis(710), Iker Casillas(725) and Raul Gonzalez(741). Ramos had lifted 20 trophies since his debut in September 2005 and moved to central defense from full-back under Jose Mourinho in 2010 establishing the position of his own.